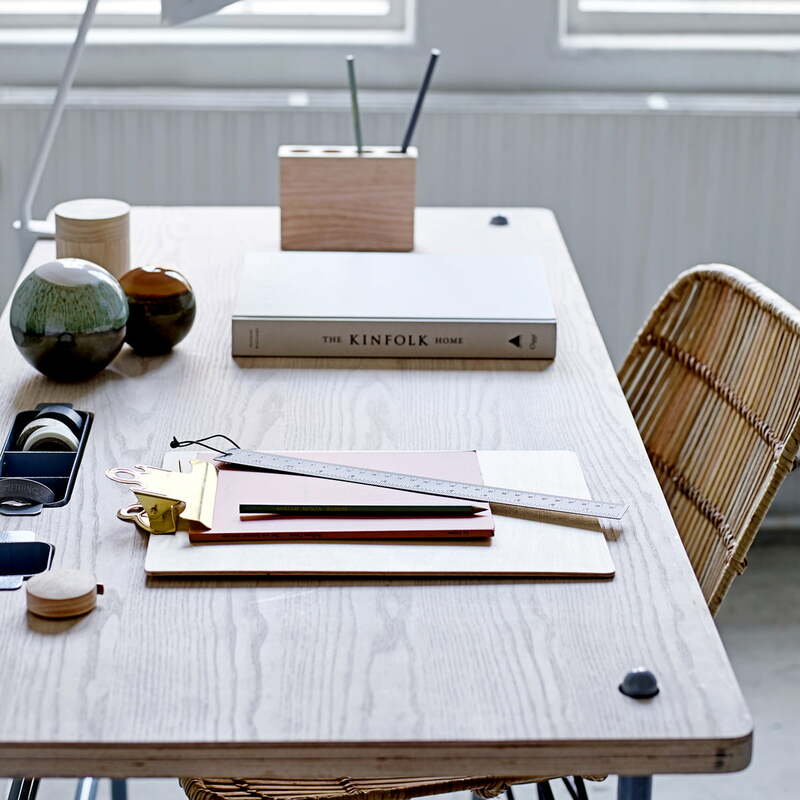 The Clipboard by the Danish brand Bloomingville was made from natural wood, and supplemented with a practical clip. Thanks to the comfortable material, the clipboard lays pleasantly in the hand while writing. Whether leaned against the wall or hung up, the Clipboard is also perfectly suitable as a photo frame - here images can be exchanged according to individual wishes and needs. 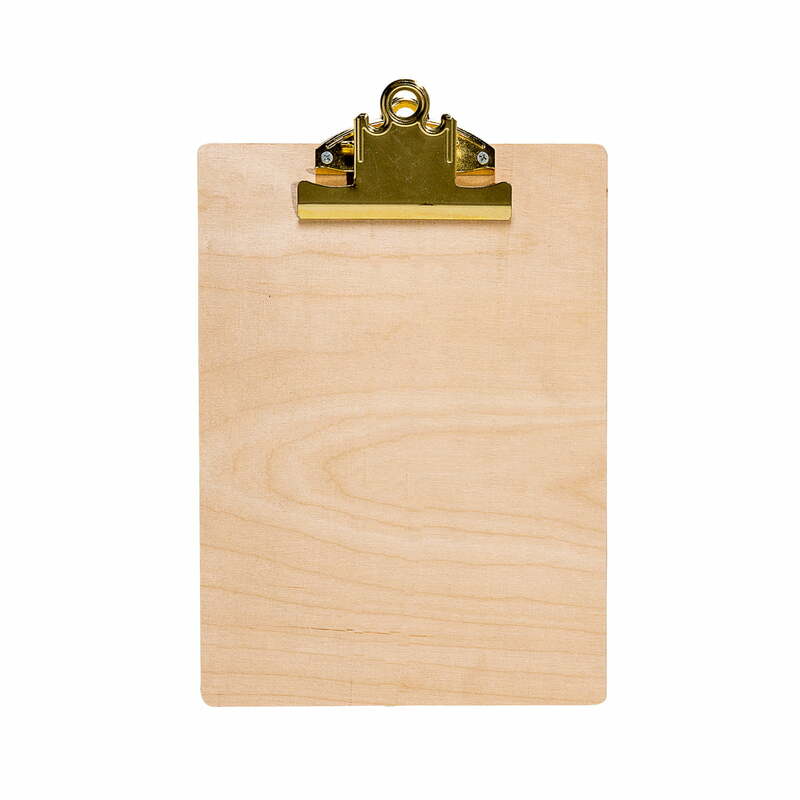 The Clipboard is available with clips in different colours. Single image of the Clipboard by Bloomingville in nature matt with a gold clip. The clipboard is a special desk utensil regarding its optical and haptical features. Ambience image of the shapely Clipboard made of wood by Bloomingville on a desk. Due to its materiality, the Clipboard becomes a special writing utensil.